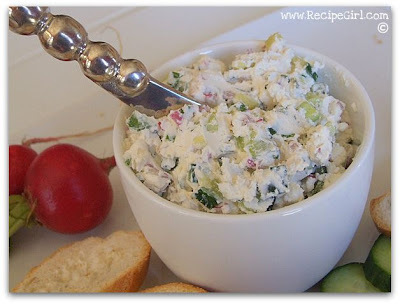 Here's a colorful, flavorful, cool dip for a hot summer night... Vegetable- Goat Cheese Spread. 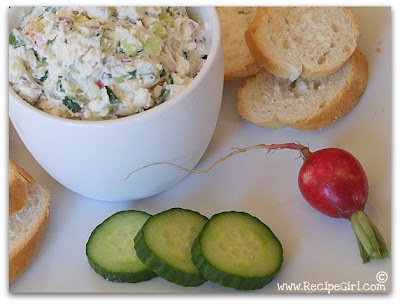 It's an awesome sort of dip for dunking cucumber slices, radishes or carrots, as well as sliced baguette. Lots of crunch. And lotsa veggies within!